Drudge Report first reported the news saying that the procedure will take place on Friday in New York. 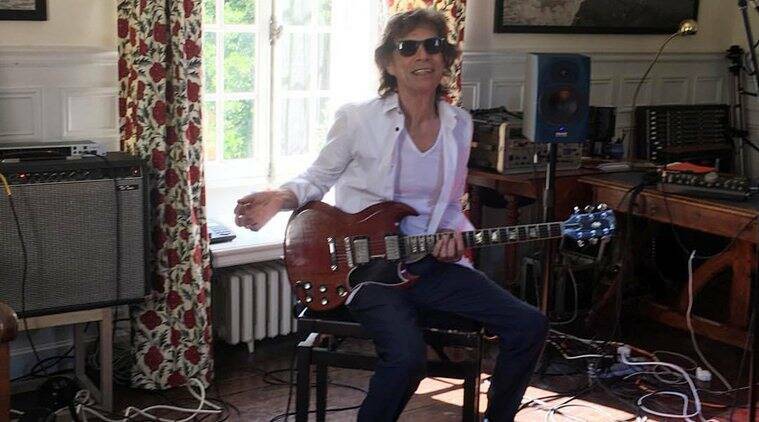 The publication added that Mick Jagger is expected to make a full recovery and return to touring this summer. Musician Mick Jagger is currently undergoing a heart surgery because of which The Rolling Stones had to postpone their No Filter tour (Source: Instagram/mickjagger). Veteran rocker Mick Jagger is set to undergo heart surgery. According to the Rolling Stone magazine, the 75-year-old musician will have the surgery to replace a valve in his heart. As a result of the treatment and recovery period, the Rolling Stones postponed the North American leg of their ‘No Filter’ tour, which was supposed to run from April 20 to July 29. The legendary English rock band were due to play 17 shows in the US and Canada. “Mick Jagger has been advised by doctors that he cannot go on tour at this time as he needs medical treatment. The doctors have advised Mick that he is expected to make a complete recovery so that he can get back on stage as soon as possible,” the band’s representative had said in a statement issued on Saturday. Jagger had also took to Twitter to apologise to his fans. “I really hate letting you down like this. I’m devastated for having to postpone the tour but I will be working very hard to be back on stage as soon as I can,” he had tweeted. Drudge Report first reported the news saying that the procedure will take place on Friday in New York. The publication added that Jagger is expected to make a full recovery and return to touring this summer.